Development of a DNA Aβ42 Vaccine to Prevent Alzheimer’s Disease is my major scientific interest and effort in my laboratory. I have spent the past 30 years in research in neurodegenerative diseases and Alzheimer’s disease in particular. 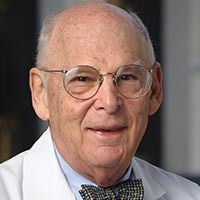 I have been at the University of Texas Southwestern Medical Center since 1973, hold the Abe (Brunky), Morris and William Zale Distinguished Chair, am Professor of Neurology and Neurotherapeutics and Physiology and have Chaired the Department of Neurology from 1973- 1991. 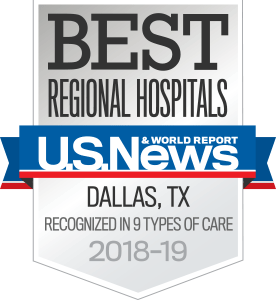 I am the founding Director of the NIH funded Alzheimer’s Disease Center at UT Southwestern and it has been funded now through five consecutive competitive funding cycles since 1988 and will be funded through 2016 representing 28 years of continuous NIH Center funding. My early amyloid related research in the UT Southwestern Alzheimer’s Disease Center is directed at determining amyloid precursor protein (APP) processing by neural cells in culture as a model system for the abnormal deposition of amyloid in the brain of Alzheimer’s disease patients. I have described a platelet APP bio-marker that correlates in a linear manner with the severity of patient dementia . In 2006, I published that human platelets utilize beta and gamma secretase to produce Aβ42 and that platelets from Alzheimer’s disease patients synthesize more Aβ42 than control platelets due to an increased activity of beta-secretase. Platelet A β42 levels may be an important bio-marker for Alzheimer’s disease and a means to monitor effectiveness of drug effect in clinical trials. In 2006, I published with colleagues in my laboratory that a DNA A β42 vaccine can reduce Abeta42 peptide levels in the brain of AD transgenic mice by 50%. Since 2003, we have shown a DNA A β42 vaccine with the gene gun produces in Alzheimer transgenic mice an anti-A β42 antibody of the IgG1/Th2 type which is known to be anti-inflammatory. More recently we have shown that this DNA vaccine induces CD4 non-inflammatory spleenocytes and not CD8 pro-inflammatory cells which are induced by Aβ42 peptide vaccination. We have shown that A β42 peptide vaccination produces a Th1 and Th2 immune response that is 1:1( IgG1 ratio with IgG2a is 1:1) and thus brain inflammation with A β42 peptide vaccination is due to the induction of a pro-inflammatory immune response not seen with DNA A β42 vaccination. The DNA vaccine produces a highly predominant Th2 immune response (Th2/Th1 is 10:1 ratio). A clinical trial with Alzheimer’s disease patients is being developed using this new DNA gene vaccination methodology. I received in 2009 a US Patent as the Inventor of “Amyloid Beta Gene Vaccines”. My other major area of research has been the molecular and clinical study of genetic neurological diseases. In that regard, I have been most active in studying the inherited ataxias including Machado-Joseph disease which I described initially with William Nyhan, M.D. Ph.D, in 1976. Our collaborative group mapped the chromosomal location of this disease to 14q24.3, and determined the molecular mutation causal of the disease in patients throughout the world (United States, Portugal, Canada, Japan, Brazil, Spain, France, England, China) is an increase in CAG unstable DNA triplet repeats which represents a novel, new mechanism of disease. CAG repeat levels in the MJD gene is now a commercially available bio-marker which has been shown to be effective in reducing the prevalence of this dominantly inherited spinocerebellar degeneration in at risk persons in families known to have the disease. World Federation of Neurology 2009, 1st Science Medal for Scientific Achievements in Neurology and Neuroscience; presented at the World Congress of Neurology in Bangkok, Thailand. Translational research in neurology and neuroscience 2010-2011. DNA beta-amyloid(1-42) trimer immunization for Alzheimer disease in a wild-type mouse model. The relationship of cardiovascular risk factors to Alzheimer disease in Choctaw Indians. DNA Immunization Against Amyloid beta 42 has High Potential as Safe Therapy for Alzheimer's Disease as it Diminishes Antigen-Specific Th1 and Th17 Cell Proliferation. Brain MRI, apoliprotein E genotype, and plasma homocysteine in American Indian Alzheimer disease patients and Indian controls.